The final chapter in Drake’s adventure is easily one of the most gorgeous console experiences you’ll have. 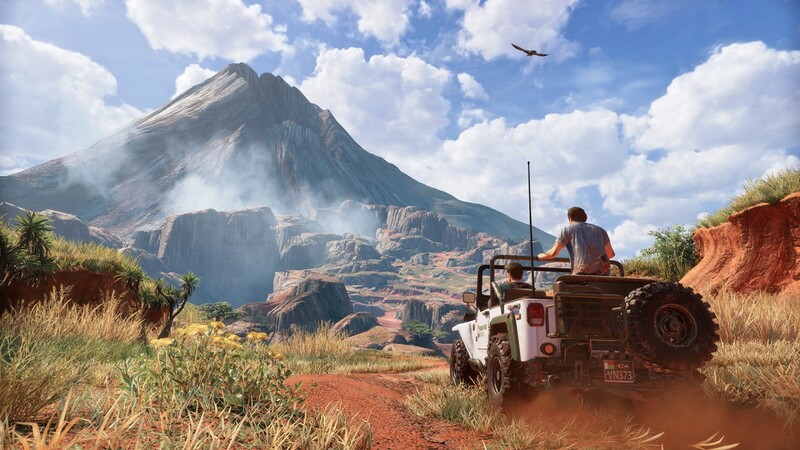 From beginning to end Uncharted 4 will take you on a exhilarating joy ride that you won’t soon forget. The motion capture is top shelf, the voice acting impeccable, and the tight gameplay we’ve come to love all make a triumphant return with minor, but easily forgivable issues. With the current PlayStation 4’s limited hardware capabilities I was a bit skeptical when Uncharted 4 screens and trailers hit the internet. Consider me a skeptic no more. Although the game runs at a locked 30 FPS you’ll notice that there’s barely any slow down even during intense situations. Be it massive gun fights or the grand explosive set pieces we all love, the speed reduction is barely noticeable. Naughty Dog employs a clever use of motion blur that gives the fast paced action a sense of speed that you usually find in games running at 60 fps. I can’t count the times on my hands when a sense of dread washed over me whenever I reached big moments. Always expecting the game to crawl under the pressure of its visual fidelity. But it never did and that’s impressive on its own. To really understand you need to see the game in motion the jungles and tombs you explore are all extremely detailed the character models have an insane amount of texture and precision even the standard enemy looks amazing. The PlayStation 4 is pushed to its limits and Uncharted 4 makes it seem like it barely breaks a sweat. I was a bit disappointed by the pacing during the early parts. 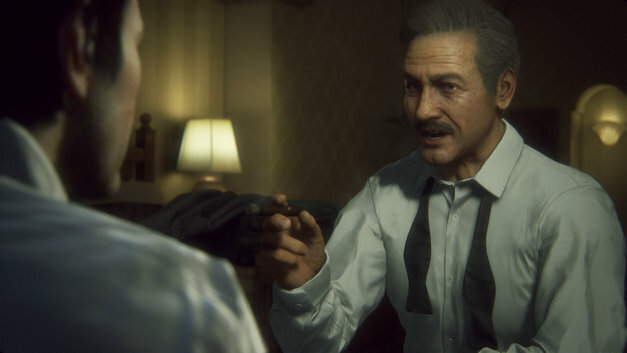 Unfortunately Uncharted 4 has the slowest start in the series. Uncharted 2 set the bar extremely high by having the game begin with Nathan climbing through a falling train. That’s not the case with Uncharted 4. It has a more methodical start. It reintroduces our cast while also introducing some new faces while also helping newcomers grasp the game engine and controls. The pacing quickly picks up and doesn’t slow down once the action starts. 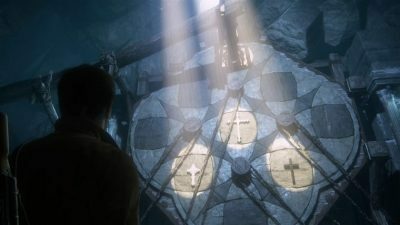 Which brings up another negative but forgivable point, the controls are by far Uncharted 4’s weakest point. During intense shoot outs the aiming reticule swings while you try to steady your aim. Rotating the camera also has a bit of a delay. It’s not game breaking but during intense firefights it did become bothersome. But I’m really reaching for something to complain about. But everything is all forgiven once you start to play through Uncharted 4. The gameplay isn’t just all guns blazing and platforming however. The game has three speeds. While you’re exploring and taking in the beautiful scenery, you’re in cruise control. You can take your time look around finding treasures a series staple. or stand around and enjoy the amazing scenery. During shooting sections are akin to doing 5 over the speed limit. Uncharted 4 plays it safe keeping most of the common mechanics in tact. But if you’re careless you can really get in trouble. Enemies are thrown at you in waves and the body count is massive but the game is never overly difficult. Then there’s these high octane burst of action that really showcase why Uncharted has become such a beloved series. These quick flashes of insane action and impossible leaps really stand out – they’re amazing and remind me Michael Bay’s better action films. I can’t gush enough about how entertaining Uncharted 4 is. 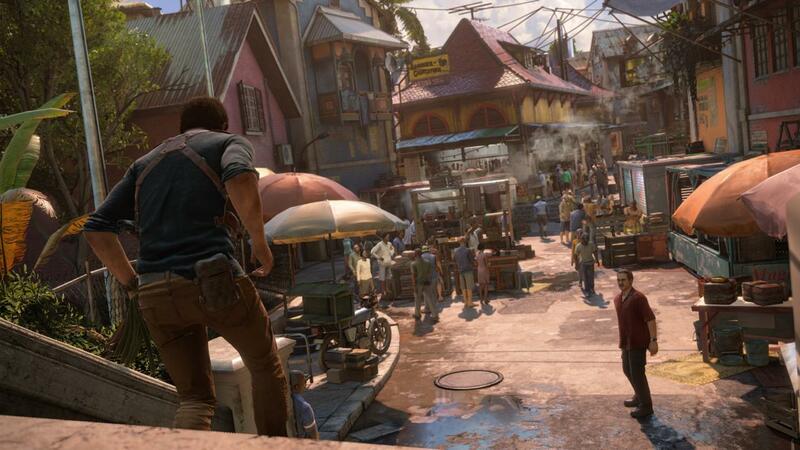 Simply put Uncharted 4 is cinematic, flashy, and exciting. The people that walked by as I played all said it felt as if they were watching a movie. The amazing voice talent also lends a helping hand in adding to this effect. I’m still in awe at how great the voice acting is. Conversations feel organic and spontaneous. You’ll often hear your partner comment on the action that’s currently happening on screen during shoot outs. During exploration the friendly banter keeps you engaged and gives the characters pinches of personality that you wouldn’t get otherwise. During extended cut scenes you’ll be wowed by the facial animations. Naughty Dog has really put other developers on notice. Gone are the dead eyes we’re so used to with the facial capture of yesteryear. Now we’re treated to fully emoted facial expressions that are life like. It’s above anything else I’ve seen this console generation. Once you’re done with the lengthy single player campaign there’s multiplayer to enjoy. I can’t give you a definitive answer for the multiplayer segment. But I will update this review once I have more time with the public servers. But what I did play against other media on the pre-launch servers was spectacular. Unlike the single player mode that runs at 30 fps the multiplayer mode runs at a lower resolution but at 60fps. It’s not as visually wowing as the single player game but it’s smooth and the controls don’t feel delayed like I noticed with the single player game. Lag was also minimal, but again this is on pre-launch servers. Uncharted 4 : A Thief’s End is a fitting end to a beloved series. Although it never reaches the peaks that Uncharted 2 reached it comes extremely close and delivers an amazing experience.